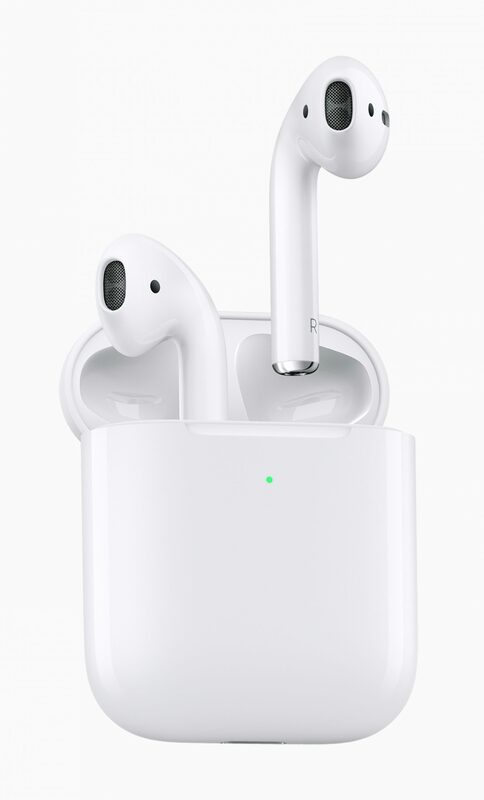 It is not often that Apple gets into a new product category, but they did just that back in September of 2016 when they unveiled a whole new product line for them, AirPods. In the 2 1/2 years since their announcement, they have been a very popular product and one that delights the users. Today Apple has released the successor to the original AirPods, the second-generation AirPods. There have been some changes to the AirPods, but there are some things that has not changed. The biggest of these is the design. The AirPods are still the small and wireless headphones that you have come to love. The second-generation AirPods still have 5 hours of battery life on a single charge, charging them for 15 minutes will give you three more hours of battery life, and the case still provides 24 hours of battery life for our AirPods. Even with all of the changes, some things have been changed. There are a few new features of the AirPods though. The first is that the AirPods now have longer talk time. A full charge will provide 3 hours of talk time, This is an hour more than the original AirPods. The longer talk time on a single charge also means that a quick charge of 15 minutes will result in two hours of talk time, and the charging case can provide up to 18 hours of talk time. The quick charge is twice as much talk time, and the case can provide an additional 7 hours overall. This is a great improvement, particularly for a product so small. There is another change that should be mentioned, you can now use the trigger phrase “Hey Siri” and your AirPods should respond. This is done via a setup on your iOS device or your Mac. This is an optional feature that does not need to be configured, if you do not want. The third change is around the case. There is now a wireless charging option. The charging case will work with any Qi-compatible charger. This includes any of your existing charging pads. Even though there is a wireless charging case, you can still charge the wireless case via lightning. The last change with the AirPods is one that you will not see. The second-generation AirPods hav a brand new chip, called the H1. This chip is designed specifically for headphones. The H1 enables the longer talk time as well as ability to use “Hey Siri” on them. The last improvement with H1 is that switching devices is twice as fast with the H1 chip, versus the old W1 chip in the original AirPods. There are two different price points for the second-generation AirPods. You can buy a pair of AirPods starting at $159. This will get you a pair of second generation AirPods, and the standard charging case. If you want to get a pair of AirPods with a wireless charging case, that is a bit more, $199 to be exact. If you have a pair of AirPods and would like to use wireless charging on those, there is an option for that too. You can buy a wireless charging case on its own for $79. The second-generation AirPods sound like they will be a great improvement over the first-generation model. Only time will tell if that is the case. 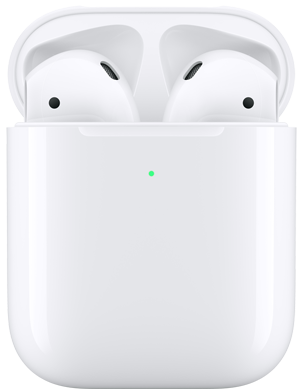 You can order a pair of second-generation AirPods, with or without the wireless charging case, as well as the standalone wireless case today. The new AirPods will be available starting next week. If you do order, you can also have them engraved if you would like to add a custom engraving. As with other Apple products, the engraving is free, however it will extend the delivery time to 2 to 3 weeks. As of publishing, the AirPods with wireless charing case have a 7 to 10 day delivery.